Self Service Check In Counters at the airport. 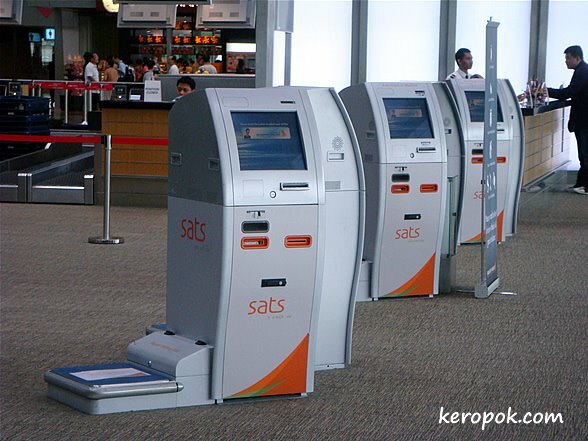 Offered a choice, do you prefer these machines or do you prefer the check-in counters with real humans? I actually prefer the machines, if the humans could actually help you, it might be different, but generally they don’t have much scope to grant you things or answer questions so all you do is line up. It might be different if I didn’t speak the language though. My experiences of flying in Singapore are all positive though! It depends. If the line is short, I rather support a human than a machine. If I it is not and I am in a hurry, I'd go for the self-checking. If I have questions that a machine cannot answer. It all depends. i prefer to have the option. ok, that might not b a good answer. well?. ..